Apple has released the fourth beta version of the upcoming iOS 8.2 software update for iPhone, iPad, and iPod touch. Previous builds include support for testing WatchKit apps for its upcoming Apple Watch release and changes to Apple’s Health app. We’ll update our coverage with what we find in the latest developer beta. via Apple pushes iOS 8.2 beta 4 to developers | 9to5Mac. According to a survey by UBS, 10% of consumers said they were very likely to buy a smartwatch next year. The survey was conducted ahead of the Apple Watch’s launch in early 2015. Most people surveyed (70%) said they already owned a regular watch but would still buy a smartwatch. If Apple can sell anywhere close to 24 million watches, it’ll be a huge success. 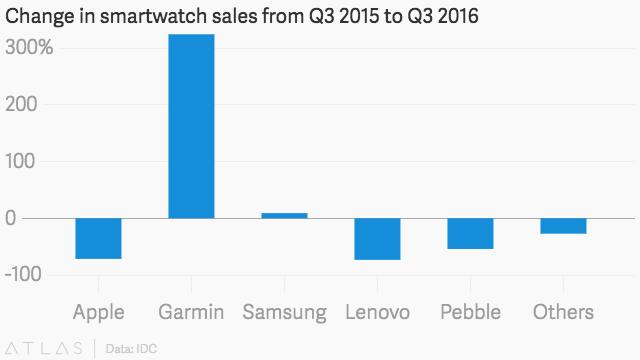 So far, no smartwatches have resonated with consumers. In the past 13 months or so, Samsung has released six smartwatch models. None have been big sellers. The Apple Watch will start at $349 but could cost well into the thousands for the models made of premium materials. Some, like Apple pundit John Gruber, have speculated that the gold Apple Watch will cost as much as $10,000. Apple hasn’t given specific pricing on the various Apple Watch models except to say what the entry-level version will cost. Smartwatches running Google’s Android Wear operating system cost as little as $199. Apple is still working on the watch. Even though the official unveiling happened in September, we got only a limited look at everything the Apple Watch will be able to do. Since then, Apple has released Watchkit, a set of tools developers can use to make their iPhone apps work with the Apple Watch. WatchKit gave us a deeper look at how notifications will work on the Apple Watch. We also may never find out how many watches Apple sells. On its latest earnings call, the company said it would lump the Apple Watch sales into a miscellaneous category along with gadgets like the Apple TV and iPod. But if the watch has a strong opening weekend, you can bet Apple will come out with a braggy press release the following Monday with some real sales data. The wearable computing market is one of the biggest growth areas in tech. BI Intelligence estimates that 148 million wearable devices like smartwatches and fitness trackers will ship in 2019. The only watch more popular than the Apple Watch? The Samsung Galaxy Gear. 37% of people said they were looking into that one, while only 25% were thinking Apple Watch. Third place was the Sony Smartwatch (6%0, and the Moto 360 was fourth with 2% interested. Apple is expected to rake in about $3.4 billion in 2015 from the Apple Watch, which will nearly double to $6.2 billion in 2016, according to UBS. By 2018, Apple is expected to bring in a cool $10 billion annually from the Apple Watch. 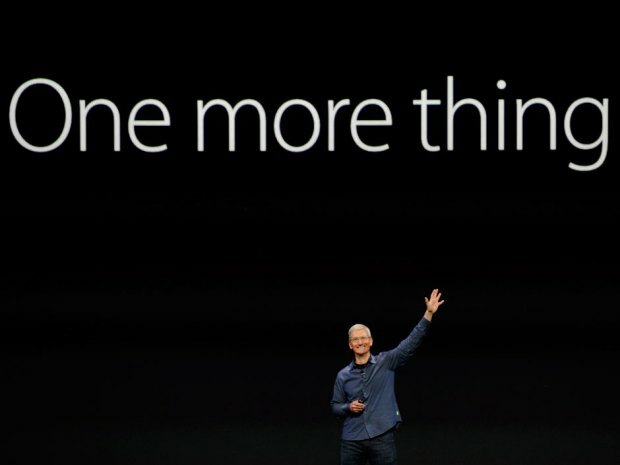 A new report pegs Apple gadget as the most exciting upcoming entrant in the wearable tech race. But getting consumers to purchase and continue wearing these gadgets will prove pivotal. The Apple Watch, due out in early 2015, is expected to breath new life into the wearable market. James Martin/CNET. The Apple Watch is not expected to arrive until next year, yet consumers are already crowning it as the most exciting wearable gadget out there. Apple’s was the most highly anticipated wearable device among respondents to a survey from PricewaterhouseCoopers, released Monday. 53 percent interested in one from Google. 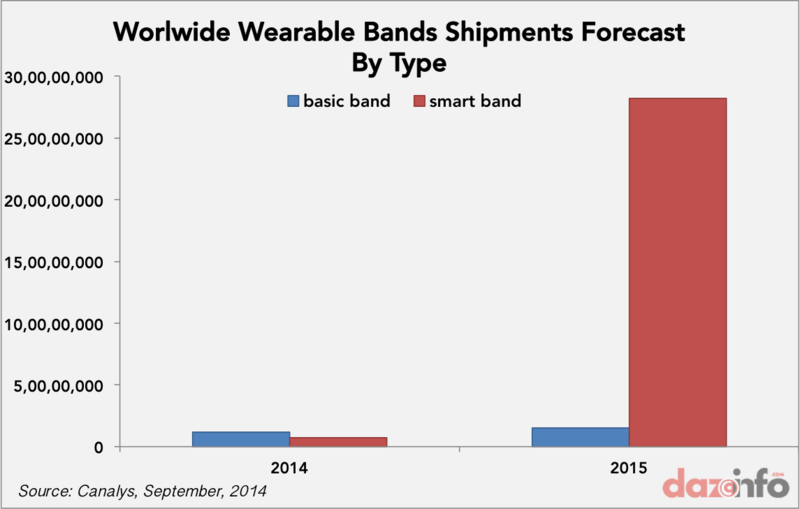 The survey’s results indicate the strength of the wearable market. One in five US adults owns a wearable today, according to PwC. At nearly 20 percent, the market for wearables now sits at roughly the same position as the tablet market two years after the release of the original iPad. The number of US adults that owned a tablet grew from 20 percent to 40 percent over the last two years, according to PwC. PwC expects sales of wearable devices to hit 19 million devices by year’s end, tripling last year’s figure according to projections made by market researcher IDC. By 2018, wearable sales could reach 130 million units and the market could rise to $6 billion dollars. Wearables, which constitute everything from wristbands and watches to glasses and ear pieces, are poised to become the next frontier in consumer technology. Tech and even non-tech companies are pouring money into the space in an effort to capitalize on what may be the next big market after tablets and smartphones. The field now includes large players like Intel, Google, LG, Samsung and now Apple; startups like Fitbit, Jawbone, Pebble and Misfit; and traditional product makers like Nike and Fossil. While the wearable device market is likely to grow quickly with so many interested parties involved, lingering questions remain. 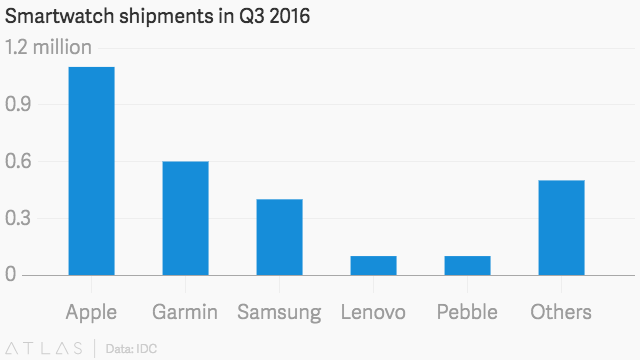 Among them is how much customers will actually use these devices. Users concerned with privacy and security were scared away from using them, the survey found, raising questions about how much customers trust the tech industry with their health and fitness information. As a result, PwC’s survey said 33 percent of wearable device owners abandoned their device after one year. Furthermore, wearable devices on the market today are not offering enough value for the price, respondents said. The survey found that 76 percent of respondents said that they did not need a wearable device to replace an existing device like a smartphone, meaning these gadgets need to offer more distinct features to grab customer’s attention. “For wearable products to take off, they will need to carve out a distinct value proposition. And, because the phone is such a fixture, for the short term, at least, wearable technology will need to seamlessly integrate with our existing technology,” the report says. 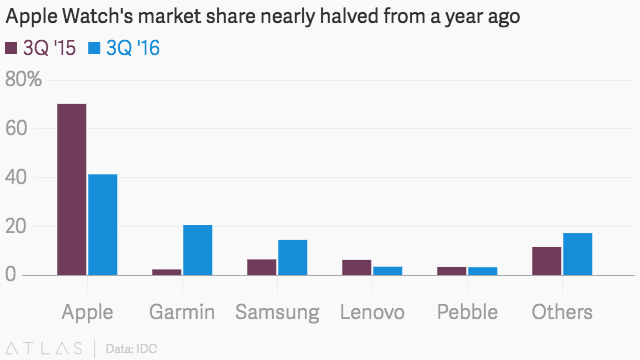 The target market for these devices is wide and varied, PwC said. Parents and caretakers for the elderly are considering wearable devices as an option to help keep their children and grandparents safe and monitor for emergency situations. Customers between the ages of 18 and 34, who self-identify as early-adopters, are also a large potential segment. “Businesses must evolve their existing mobile-first strategy to now include the wearable revolution,” said Deborah Bothun, PwC’s entertainment, media & communications leader. For Apple, its upcoming smartwatch has a laundry list of requirements and features to include if it’s to help energize the wearable market as the iPhone, iPad and iPod have done to smartphones, tablets and MP3 players. Update at 2:30 p.m. PT, October 21: Added link to PwC report. While Apple announced the Apple Watch today at its special event, it didn’t go over all of the new device’s features, noting that the company has a lot more to share in the future. Yahoo Tech’s David Pogue has found out some of the details Apple didn’t share on stage. The watch is water resistant, allowing users to not worry about the device when in the rain, or washing hands. However, the watch must be taken off before going for a swim or taking a shower. 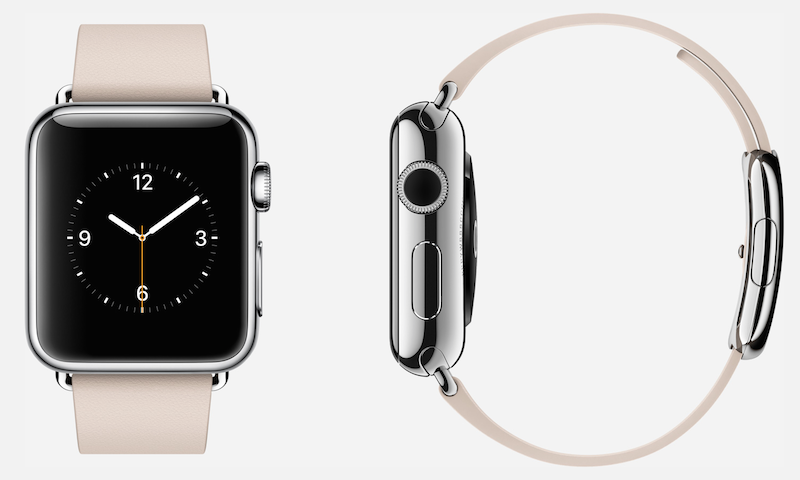 Additionally, the watch includes a microphone that can allow users to make calls directly from their Apple Watch. 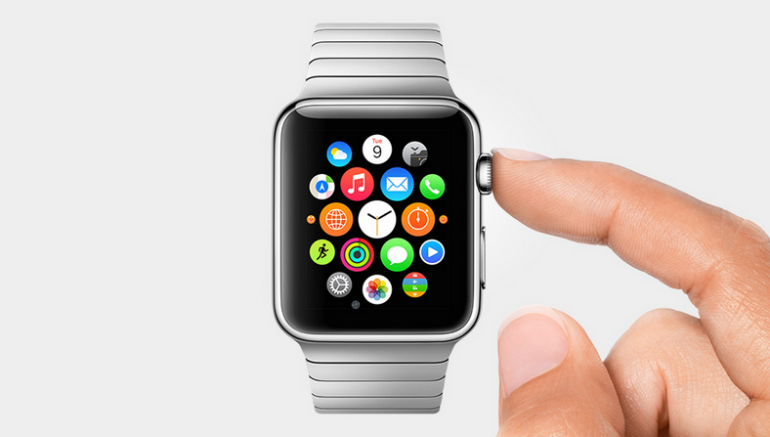 Users will also be able to load apps onto the Apple Watch from their iPhone. To rearrange the apps, users will have to hold their finger on an app’s icon and move it around, similar to how one rearranges icons on an iPhone. There’s also a “Ping My iPhone” feature, which will allow users to play a sound on their iPhone so they can locate it in case they have misplaced it. Finally, Pogue explains that the Apple Watch Edition, the most high end of the Apple Watches, comes with a special box. The fanciest model, the gold Apple [Watch] Edition, comes in a gorgeous jewelry box — which doubles as a charger. The back of the box has a Lightning connector, and the inside of the box has the watch’s magnetic round charger pad, standing vertically. So as you retire each night, you can just lay your gold watch into its case and let it charge. Additionally, Re/code’s Ina Fried says that the offline abilities of the Apple Watch include Apple Pay, music via Bluetooth, activity tracking and some apps. The Apple Watch will launch in early 2015 with its lowest end model costing $350. Apple released iOS 8.1 today, and with it comes the ability to use Apple Pay on the iPhone 6 or 6 Plus. We decided to try it out by going to two nearby businesses that already accept Apple’s NFC-powered mobile payments: Walgreens and McDonald’s. Getting my 6 Plus ready for Apple Pay took less than a minute. I opened the Passbook app, tapped the “Add” button, selected the Credit/Debit Card menu item introduced in iOs 8.1, and was presented with a form to enter my card’s number, expiration date, and security code. There was also an option to scan the details of my card in with the camera. I chose that route, and after a second-long scan only had to enter the security code from the back of my card. After this initial setup, you don’t need to open Passbook to use Apple Pay, though you’ll notice I did in the video above to see what would happen. Apple will collect a fee from banks every time consumers use the company’s new Apple Pay payments solution, reports Bloomberg. Citing three individuals close to the matter, the report notes that Apple struck individual deals with each bank it has partnered with. Those banks include JPMorgan Chase, Bank of America, Citigroup, and more. The sources cited did not specify the exact size of the fee, noting that it could vary or be tied to the value of the purchases made by the consumer. During its announcement today, Apple stated that Apple Pay would be enabled at over 220,000 U.S. merchants including McDonalds, Macy’s, Walgreens, Nike, and more. Apple Pay will also be compatible with American Express, Mastercard, and Visa credit and debit cards. Apple Pay utilizes the Touch ID fingerprint sensor, a new “Secure Element” functionality, and the NFC antenna on the iPhone 6 and iPhone 6 Plus in conjunction with a credit card stored on iTunes to make payments. Apple Pay will also be compatible with the Apple Watch when it launches early next year. via Smartwatch Wars: The Apple Watch versus Android Wear, in screenshots | Ars Technica.